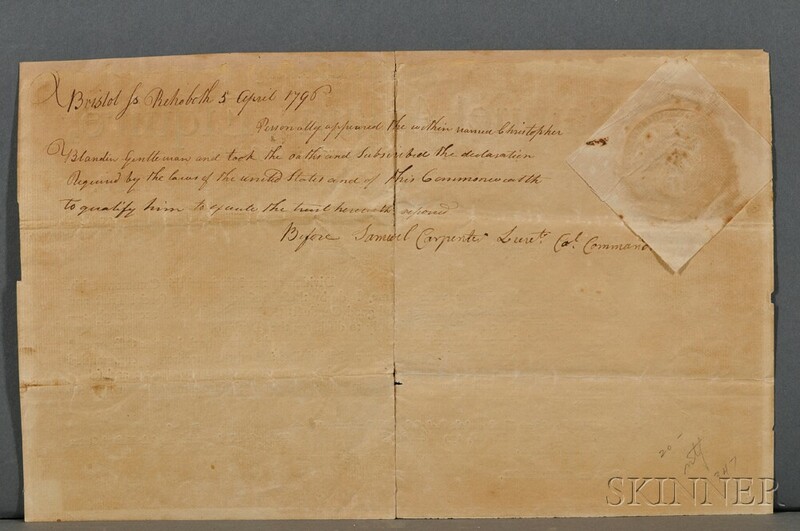 Document printed on laid paper, completed by hand. 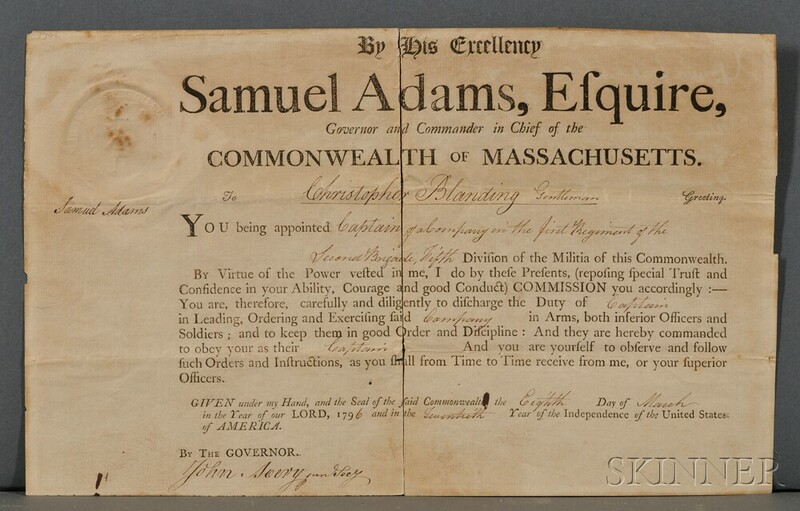 Appointing Christopher Blanding (1756-1808) [of Rehoboth] Captain of a Company in the First Regiment of the Second Brigade, Fifth Division of the Massachusetts Militia. 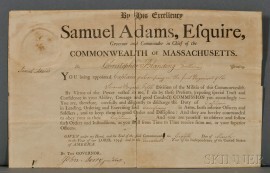 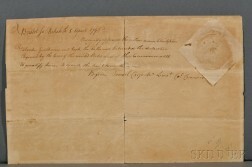 Shakily signed by Adams in the upper left margin, below the seal, countersigned by John Avery, separated into two pieces along the central vertical fold, the paper toned, slightly chipped, 13 1/4 x 9 in.